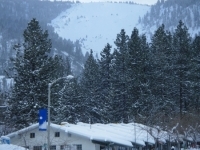 Replace this Google Ad with your own Advertisement for only $200 per month and be seen on EVERY page! 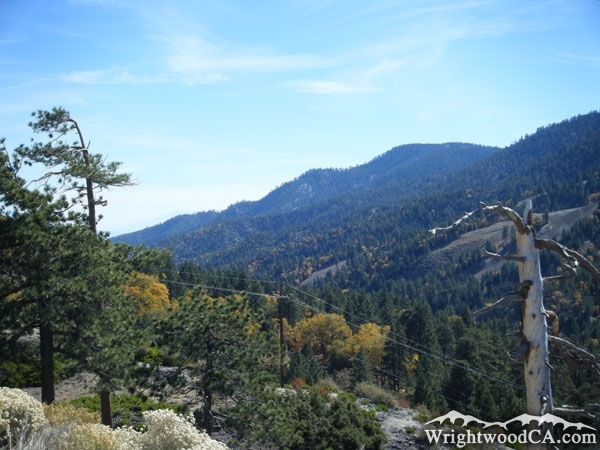 Wright Mountain, at an elevation of 8,505', dominates the skyline along the south side of the town of Wrightwood, California. 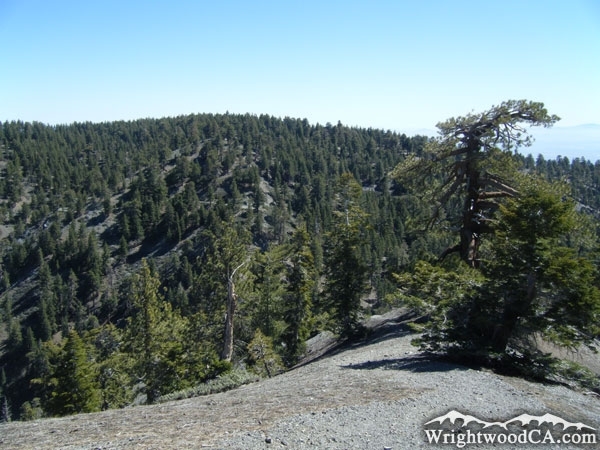 Wright Mountain is the highest point along the 'Blue Ridge' and can be seen from almost anywhere in the High Desert. 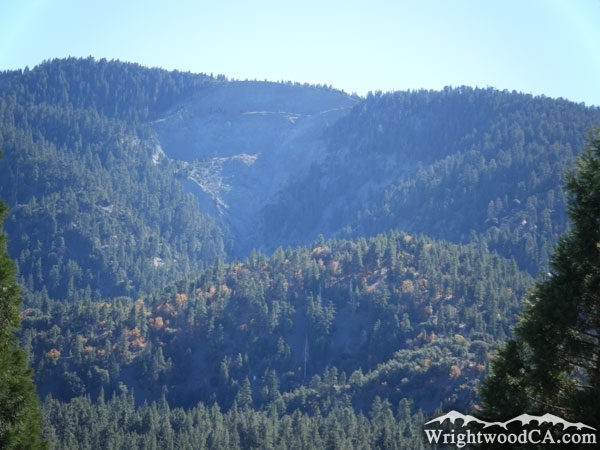 Wright Mountain features two giant landslides (Sheep Canyon and Heath Canyon), which are both very recognizable landmarks to the area. 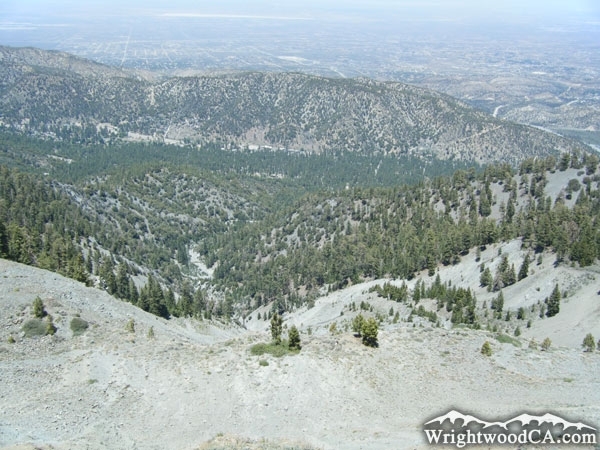 Often during large rain storms, both of these canyons cause flooding problems with mud flow which often results in the closure of roads including Lone Pine Canyon Road. 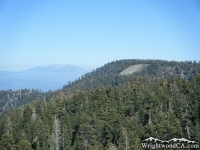 The Pacific Crest Trail (PCT) runs along the top rim of Wright Mountain, which offers amazing views, not only of the town of Wrightwood and Swarthout Valley, but of the entire High Desert, Antelope Valley, and San Bernardino Mountains. Wright Mountain is also the trail head to the North Backbone Trail, which runs across Pine Mountain and Dawson Peak to Mt Baldy. 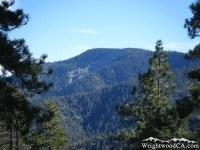 For more information, check out our San Gabriel Mountains website on the Wrightwood CA Network. 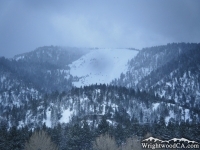 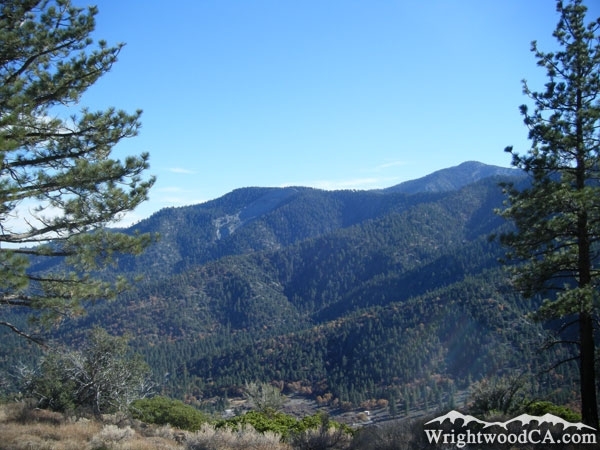 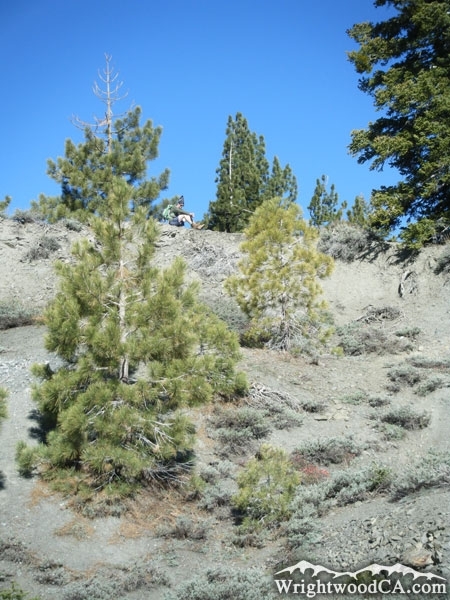 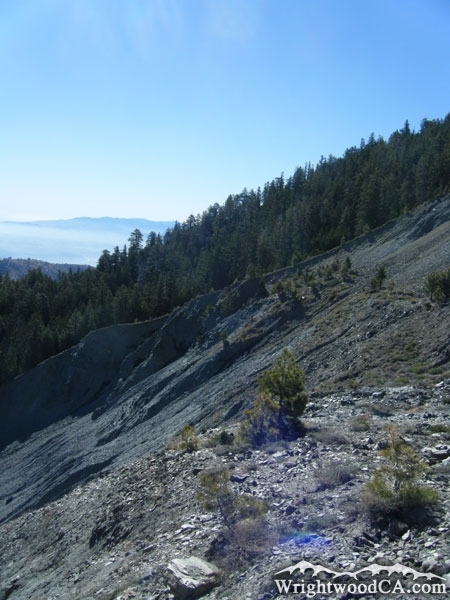 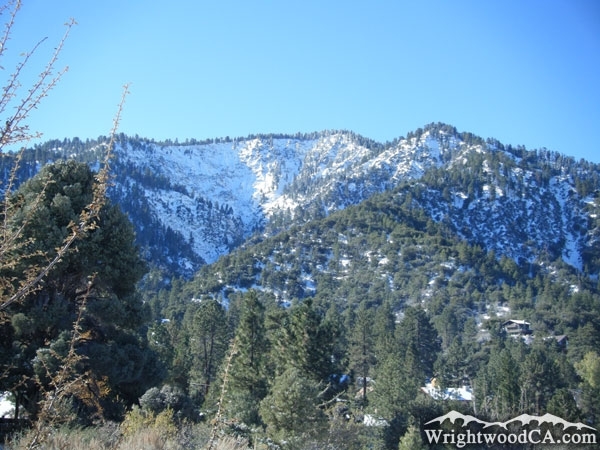 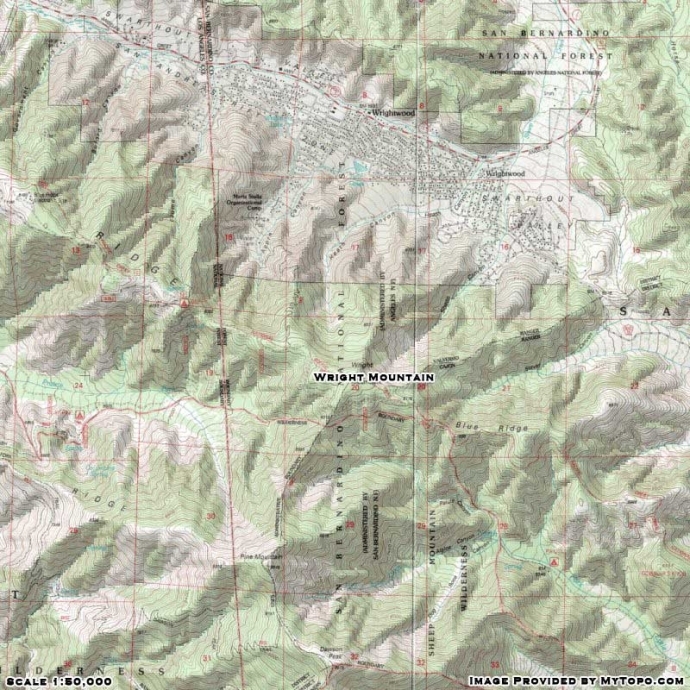 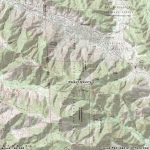 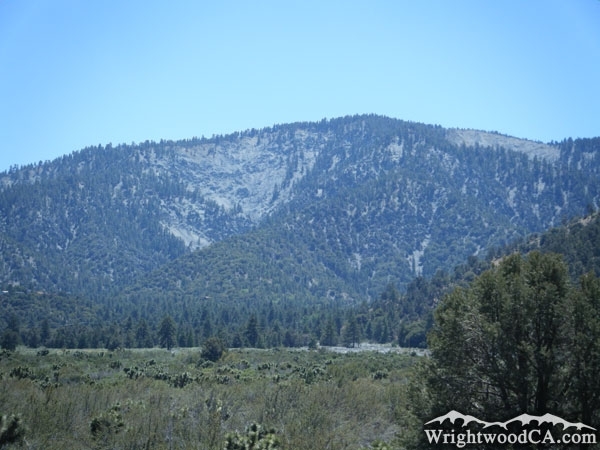 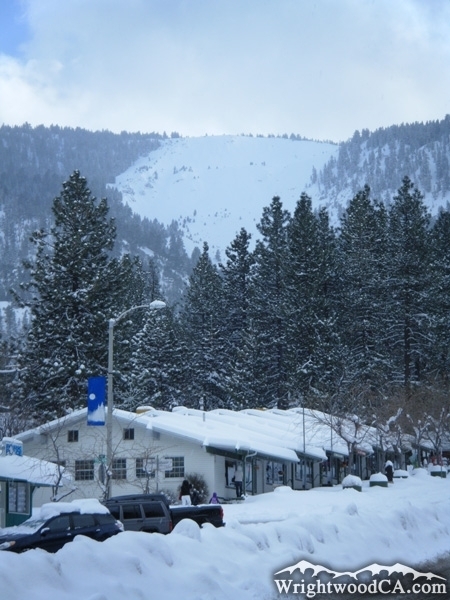 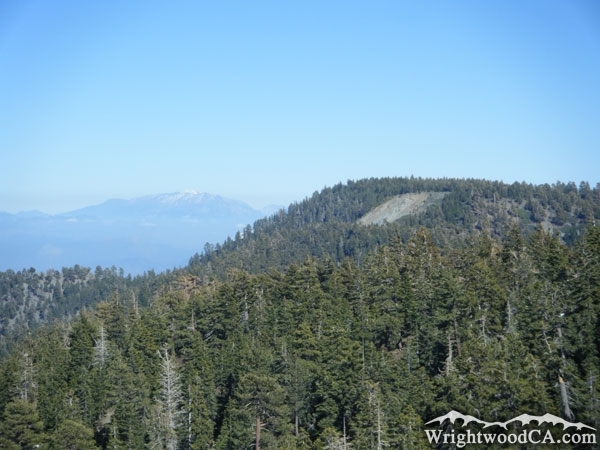 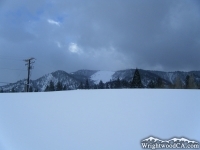 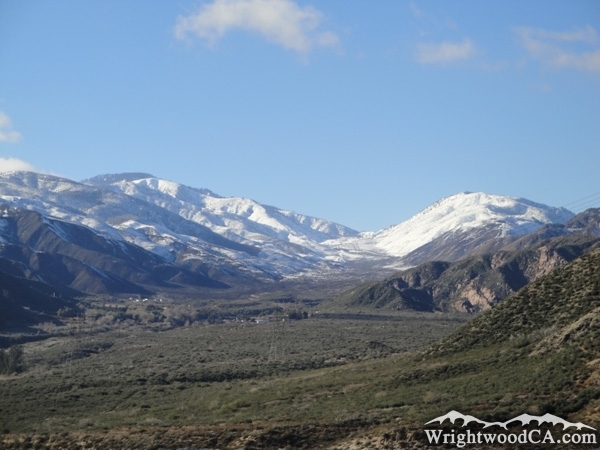 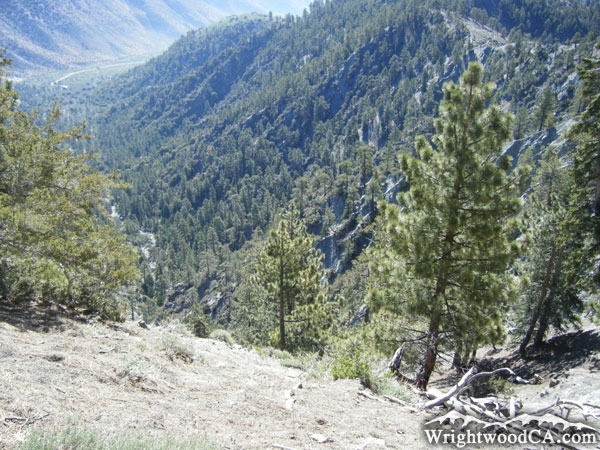 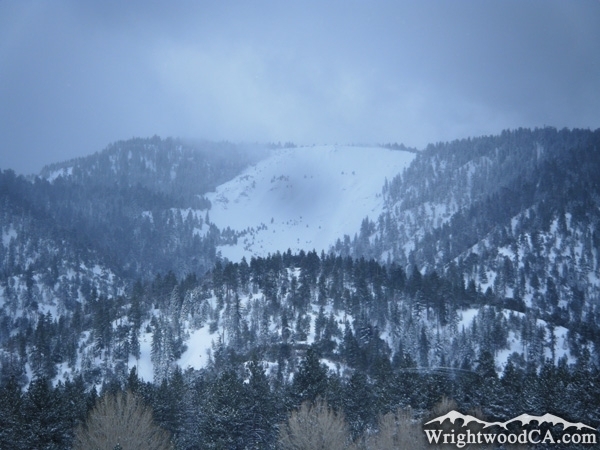 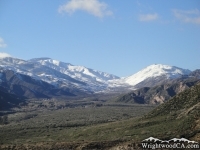 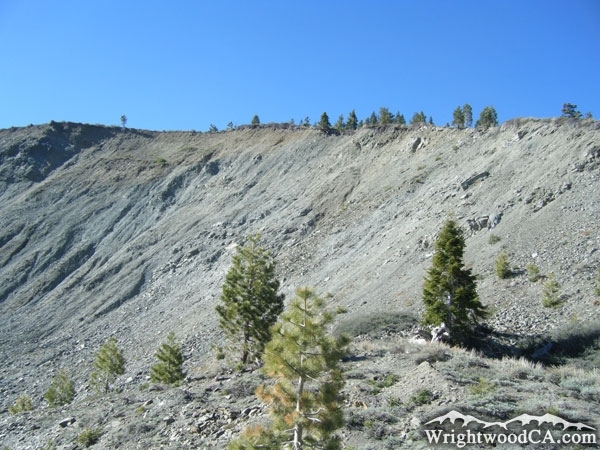 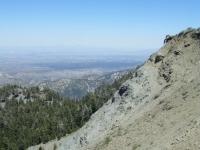 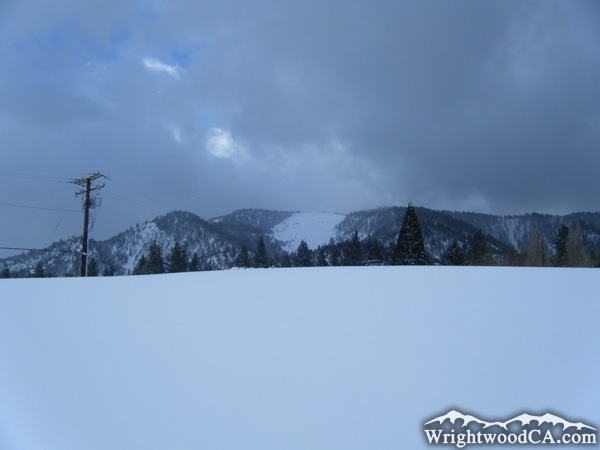 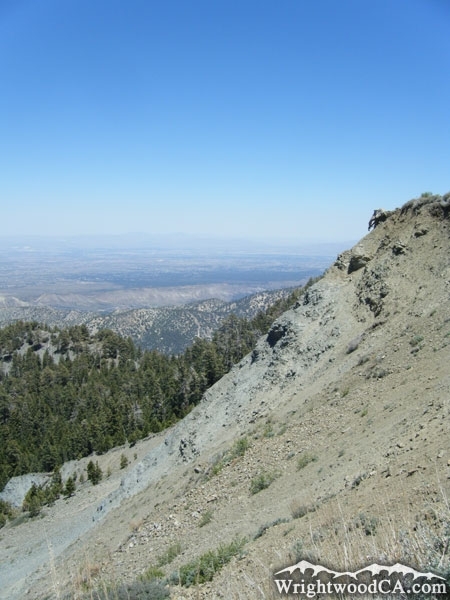 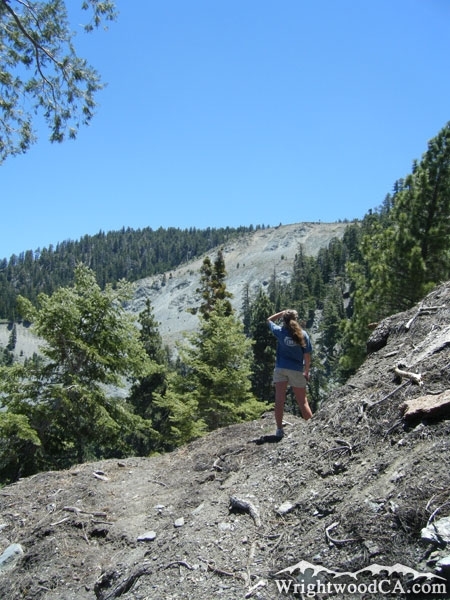 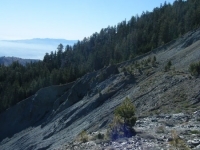 The best place to actually view Wright Mountain is within the town of Wrightwood (Swarthout Valley). 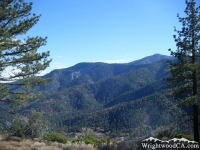 To reach the top of Wright Mountain, you can take the Acorn Trail up through Acorn Canyon, which traverses along the side of the Heath Canyon landslide, then follow the southbound Pacific Crest Trail (which actually heads east at this point) to the top of Wright Mountain. Or, if you're up for a scenic drive, take Highway 2 westbound from Wrightwood to Inspiration Point. 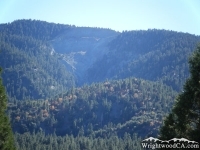 From Inspiration Point, take the Blue Ridge Road eastbound until you come face to face with the easily recognizable landslide on the side of Wright Mountain; you can't miss it. 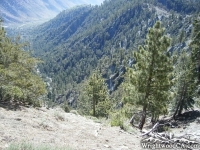 Replace the Google Ad at the top of this page with your own Advertisement for only $200 per month and be seen on EVERY page!